Artworks by the National University of Samoa (N.U.S.) Visual Arts students will be showcased at the Indiana University South East Varr Art Gallery in the United State of America (U.S.A.). 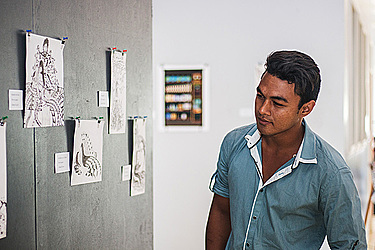 This follows the recent showcasing of artworks by students from both universities in Samoa. 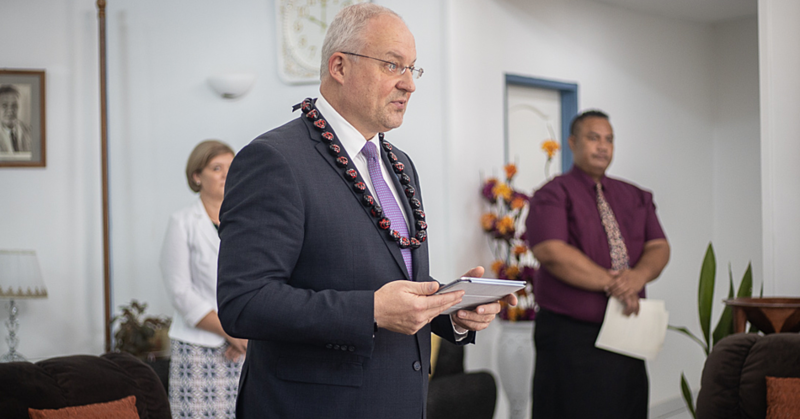 Professor Anne Allen of the Fine Arts department at the Indiana University South East came to Samoa with four students as part of getting accreditation for The Art and Culture of Samoa course. “They come spend a month so that they can really have an immersion experience. Not just get on a bus and do a tour, we spend a few days in Apia and then we go Savaii. It is a way of getting them to participate in the culture as much as possible,” Professor Anne said. “I think that the exchange between students is really important for both. My students have commented that it has given them the chance to share and talk to the Samoan students about their work. Professor Anne said in that way they can communicate some of their experience to other students. 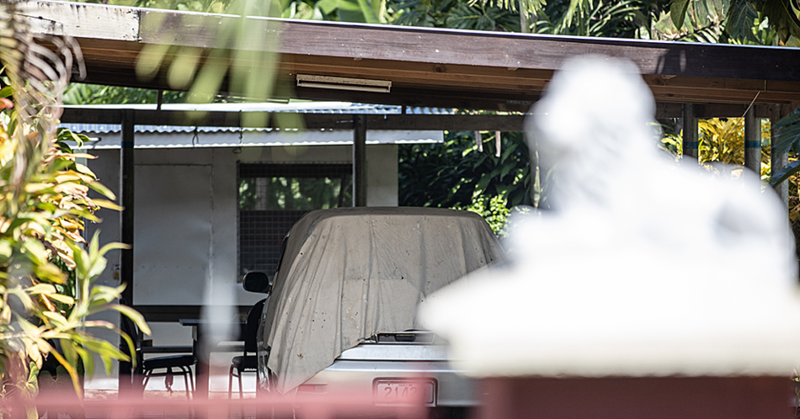 “In my opinion about Samoa’s art industry, I see a great struggle for some in trying to keep the heritage arts. It is important to keep those roots, carry it forward not just reproduce it but to transform without losing those roots,” she said. N.U.S. Visual Arts foundation student, Edward Tauiliili said with the artwork that will be sent to America, he chose family as a theme, meaning each and every artwork he created showcases the role he plays in his family. “An example would be cooking, as shown in one of my artwork. The reason I chose black and white for my work is because I really admire our traditional tattoos and its patterns,” Edward said. “Art has always been a dream of mine, it is passion that words cannot express but instead my artworks have their own unique way of expression. N.U.S. Visual Arts Senior Leua Latai said this is the fourth time that Professor Anne has brought her students over to carry out activities as such. “This collaboration is part of N.U.S.’s strategic plan that we provide opportunities for our students to engage and have discussions with other universities and their students,” Leua said. “We have students with great talents but we don’t have the resources, we don’t have scholarships for students who study arts, so many in our society look down in arts. It’s all about exposure about sharing with other students to open their minds. “Art is not only drawing and painting, it’s expressions of ideas. And my job is to facilitate and provide opportunities for young people who are interested in a career pathway in the arts,” Leua said.